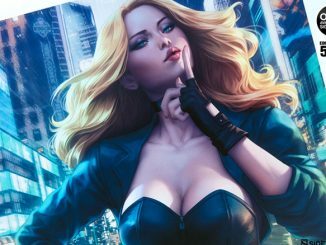 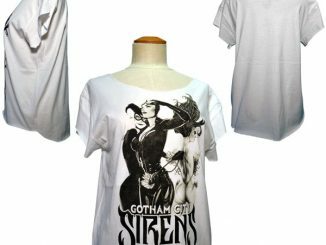 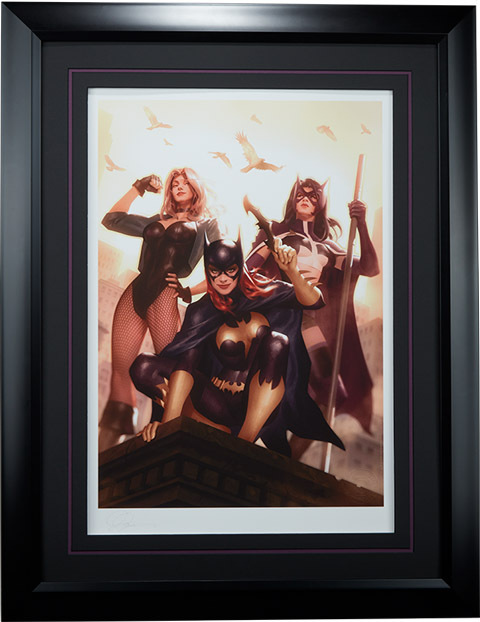 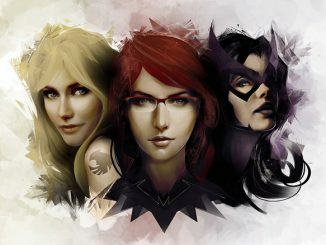 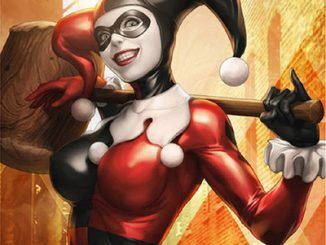 Gotham City just got a little safer, and the Birds of Prey Premium Art Print offers an eye-catching view of the trio who makes the bad guys worry a little bit more. 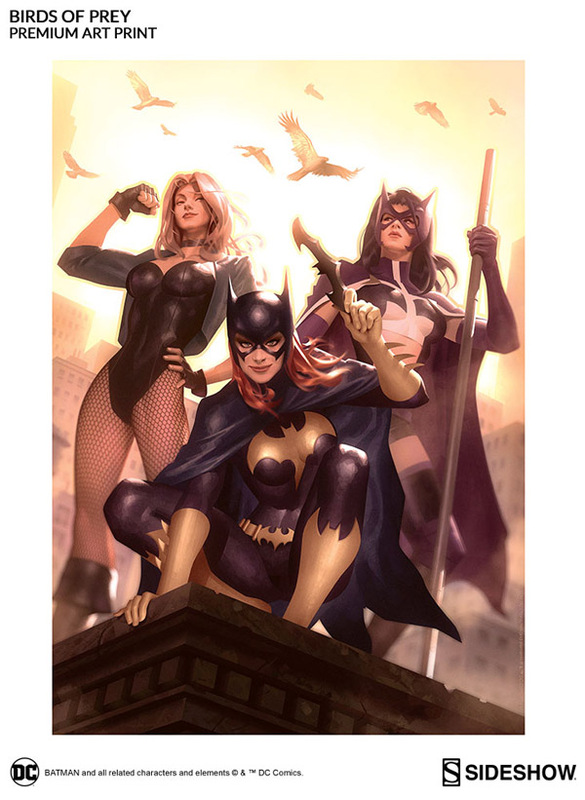 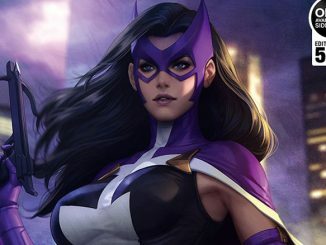 Realizing three heads are better than one, and six fists are better than two, Batgirl, Black Canary, and the Huntress join forces to become the Birds of Prey… or Batgirl and the Birds of Prey, as they’re known since DC Rebirth. 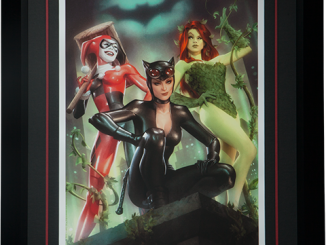 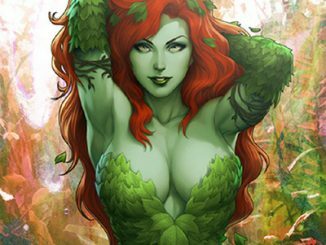 The 18″ x 24″ print, limited to just 275 pieces, was created by artist Alex Garner, who also did the dark side of Gotham City with the Gotham City Sirens Premium Art Print. 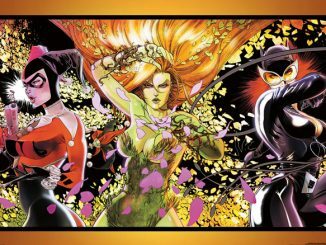 The Birds of Prey Premium Art Print will be available Dec 2016 – Feb 2017 but it can be pre-ordered now at Sideshow Collectibles. 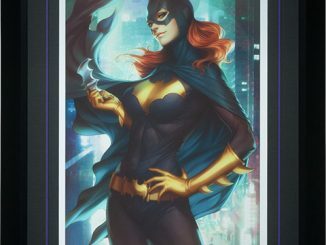 The unframed print will be $90 while the framed print will be $240.